Love you Jo! You too Peg Peg! 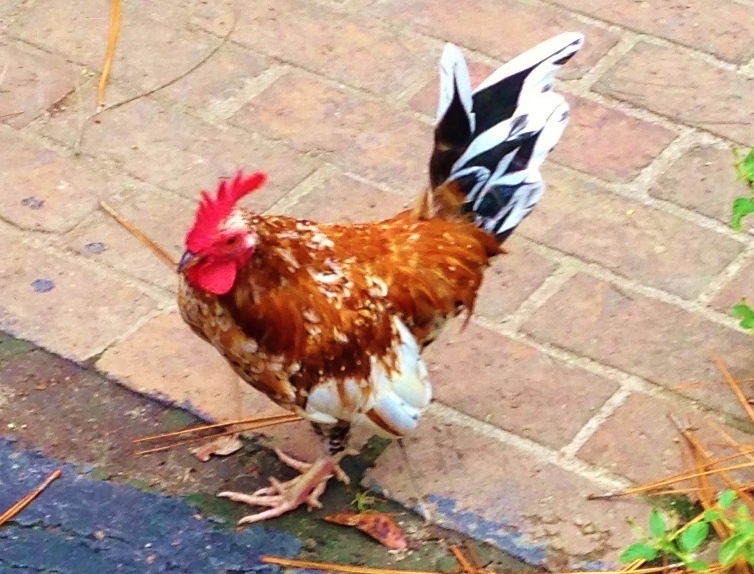 And speaking of “birds”, I got to know my Dad’s little banty rooster while I was home. He’s only about 1/3 the size of a regular rooster and he has a nice personality. 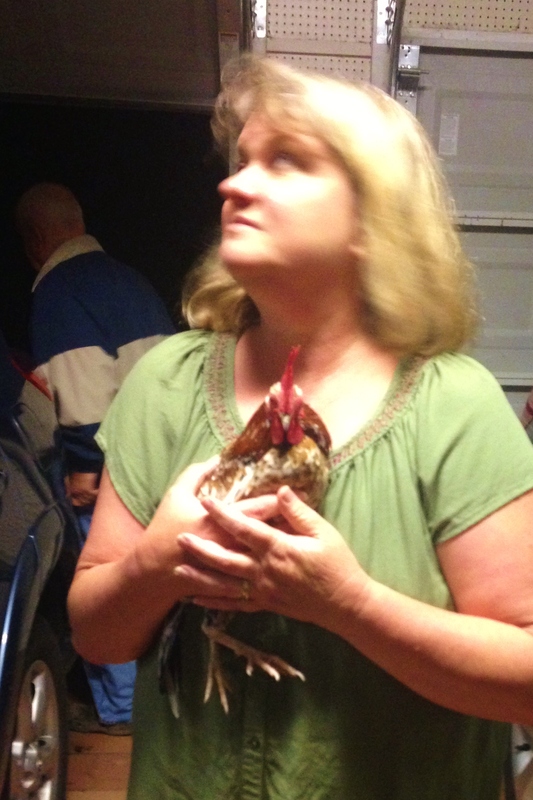 Normally roosters are bad boys who don’t take kindly to being petted or held. Sorry about the low-quality picture, but this was my mom’s FIFTH attempt at trying to take a picture using my cell phone! 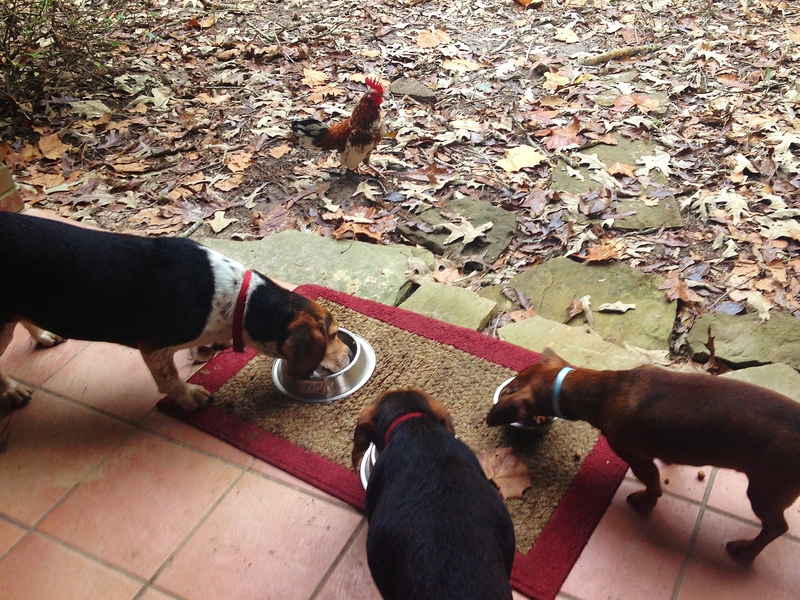 The little guy gets along with my mom’s dogs and they even let him peck out of the dog bowl at suppertime. This chicken feed tastes funny guys! But the coolest thing about Mr. Fancy is that when it’s time for bed, he likes to be carried to his roost. 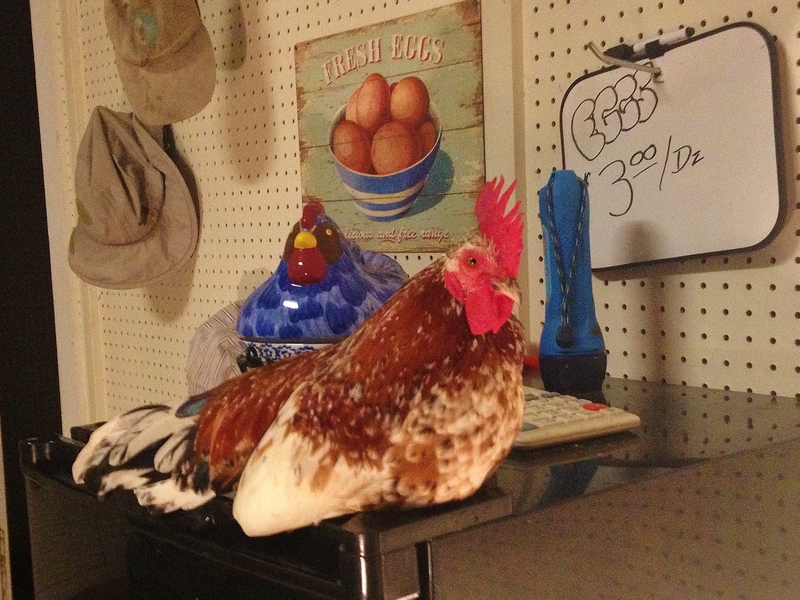 While all Daddy’s other chickens head to the barn to roost, he perches on the egg fridge in the garage and waits for my dad to pick him up and carry him to the barn. He does it every night and I got to carry him once while I was home. And about that refrigerator…Daddy sells eggs from home and he keeps a small fridge in the garage with a basket for money. Customers walk in my parent’s garage and grab a carton or two and then leave their payment in a wicker basket. 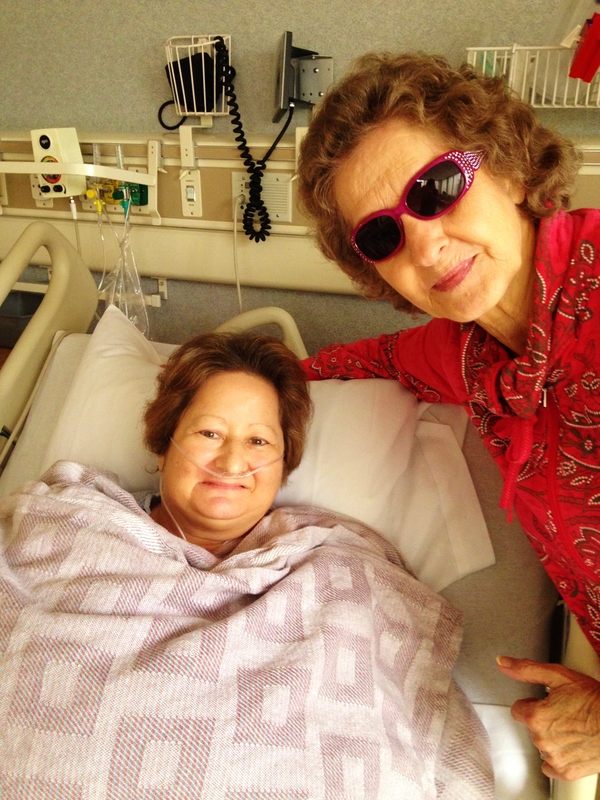 Soooo glad that Jo has overcome another hurdle. Hello Universe….she needs a rest.